The Texas Education Agency is offering state funding to as many as 157 school districts and charter schools that saw lower attendance or closed facilities due to the storm, which could ultimately cost the state an estimated $400 million. The Texas Education Agency is offering state funding this school year to as many as 157 school districts and charter schools with lower attendance due to Hurricane Harvey. The agency officially announced the compensation plan in a release Monday afternoon, with statements of support from Gov. Greg Abbott, Lt. Gov. Dan Patrick and House Speaker Joe Straus. Texas Education Commissioner Mike Morath estimated last week that this decision will cost the state a total of $400 million. Districts receive state funding in large part based on the number of students who attend school each day. 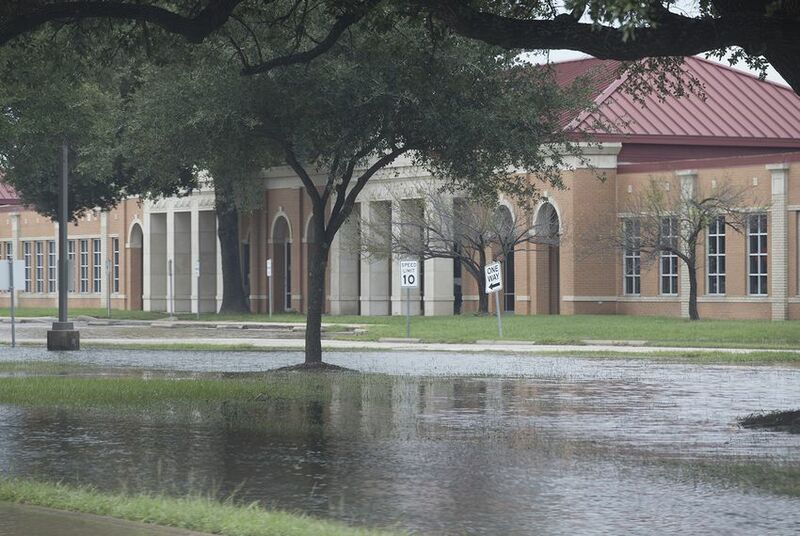 Fewer students, displaced by the storm, or fewer instructional days due to facilities damage would otherwise mean an estimated $250 million in reduced funds for Harvey-affected districts. With lower attendance, property-wealthy districts are calculated to owe more money to the state through a program unofficially called "Robin Hood," in which wealthier school districts pay to shore up poorer districts. The state agency's adjustment would waive that additional payment, meaning about $150 million less in state coffers. Morath told legislators last week that the agency could ask the state Legislature to make up the shortfall once it convenes in 2019. “This one-time adjustment is meant to bring some certainty for the remainder of this school year as school leaders face a number of major financial decisions following this devastating storm," Morath said in the statement. Morath is adjusting the reported attendance numbers for districts and charters that have had damage to at least one campus resulting in a loss of two or more weeks of class days, or that had to shut down instructional facilities for nine or 10 days right after the storm. Districts and charters must complete a worksheet detailing the damage to their facilities by Oct. 27 in order to be eligible. Only those districts located in Abbott's 60-county state disaster declaration can apply. The agency put out a list of districts and charters that preliminarily seem to meet requirements, which is subject to change and verification. The House Public Education Committee will meet Thursday at 10 a.m. in the Capitol to discuss Hurricane Harvey's effects on public schools. On the Senate side, Patrick has been advocating for the Legislature to use the Rainy Day Fund, a state savings account made up primarily of oil and gas taxes, to pay for Harvey damages. "We guarded the Rainy Day Fund this past session so that we would have the resources to handle this kind of disaster. We will need every dollar available to us moving forward," he said in a statement about the attendance adjustment Monday.